Gareth Brookes studied printmaking at the Royal College of Art. Known for an unusual approach to materials, which include, embroidery, linocut, monoprint, pressed flowers and pyrography, he has published two graphic novels with Myriad Editions. 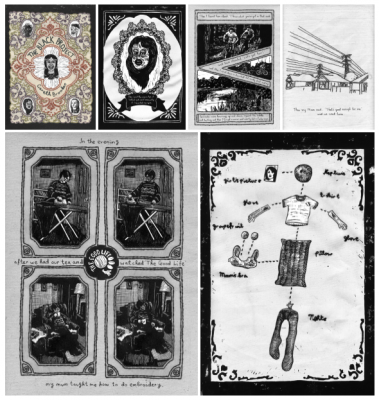 The first of these, The Black Project, won the Myriad First Graphic Novel Competition in 2012, was featured in the ‘Comics Unmasked, Art and Anarchy in the UK’ exhibition at the British Library, London and was nominated in the Sélection Officielle at the 2018 Festival de la Bande Dessinée in Angoulême. In 2017 he took part in the British Council Korea’s Storytelling City exchange project to Seoul, South Korea, culminating in an exhibition and webcomic. 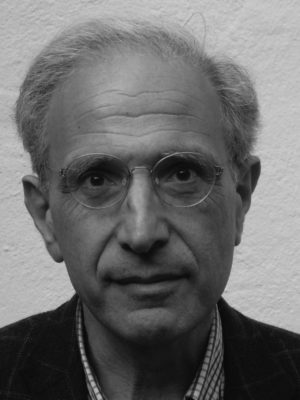 He has been a guest speaker at the Edinburgh International Book Festival, The Manchester Literature Festival, The Bradford Literature Festival and The Toronto Comic Arts Festival. 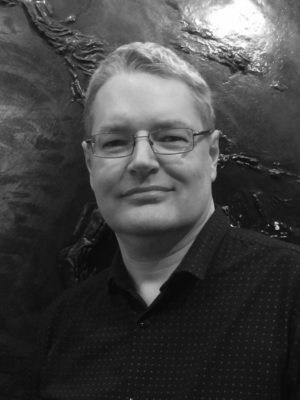 He is a Tutor in Foundation Studies at City and Guilds of London Art School, and a regular visiting Lecturer on Illustration at Lincoln University. Since then Gareth has produced a number of self-published books, including The Land of My Heart Chokes on Its Abundance. His work is also published by collectives such as The Alternative Press and The Comix Reader, while his two-comic collaboration with artist Steve Tillotson, Manly Boys and Comely Girls, is available from Avery Hill Publishing. 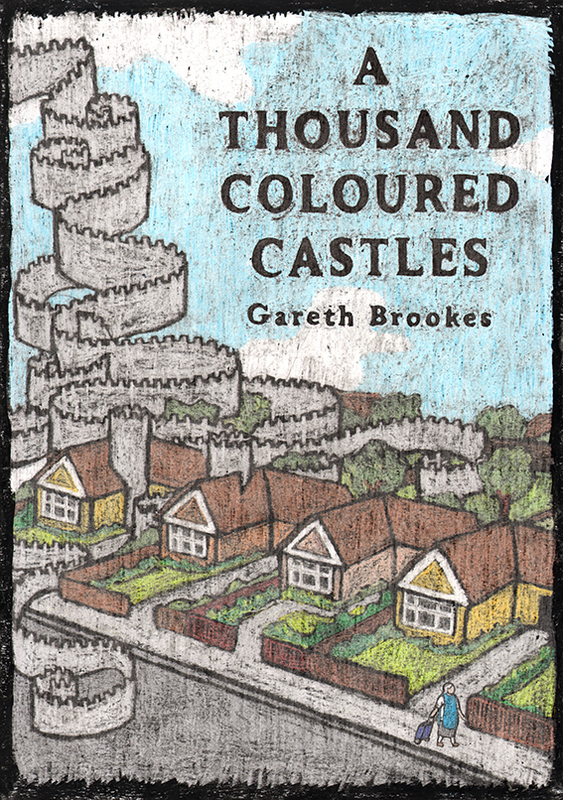 Gareth’s second graphic novel, A Thousand Coloured Castles, was published by Myriad in April 2017. In the past year Gareth has been a visiting lecturer at Wimbledon School of Art, the University of York St Johns, Staffordshire University and The Royal College of Art. 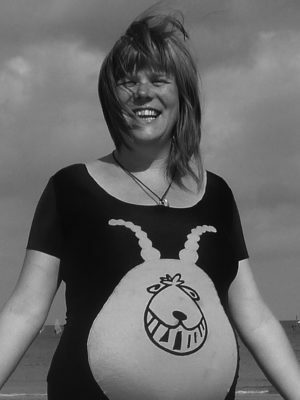 He runs regular workshops in embroidery, printmaking, comic and zine making, most recently running workshops in embroidery at Bradford Literary Festival and in monoprint printmaking (with Islington Centre for Refugees and Migrants) at The ICA, London. 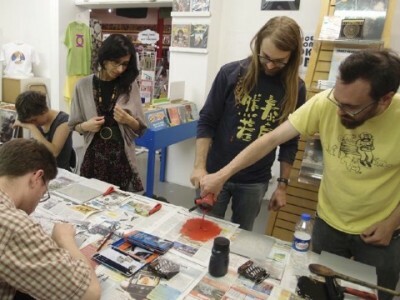 He also organises South London Comic and Zine Fair, an annual book fair featuring over 40 small press publishers and artists, which is focused on encouraging new artists to exhibit their work. 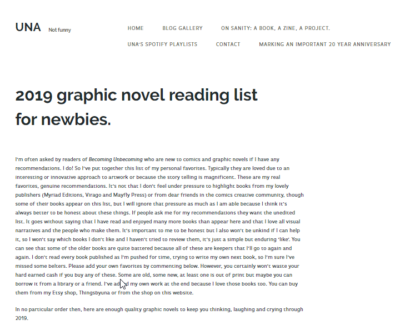 Gareth Brookes’ graphic novel, A Thousand Coloured Castles, features on author Una‘s list of must-reads for 2019. Read the entire list over on her blog. ‘Unlike any other graphic novel we can think of, although Brookes has previous in that regard.’ Teddy Jamieson quizzes Gareth Brookes on method and macular degeneration. 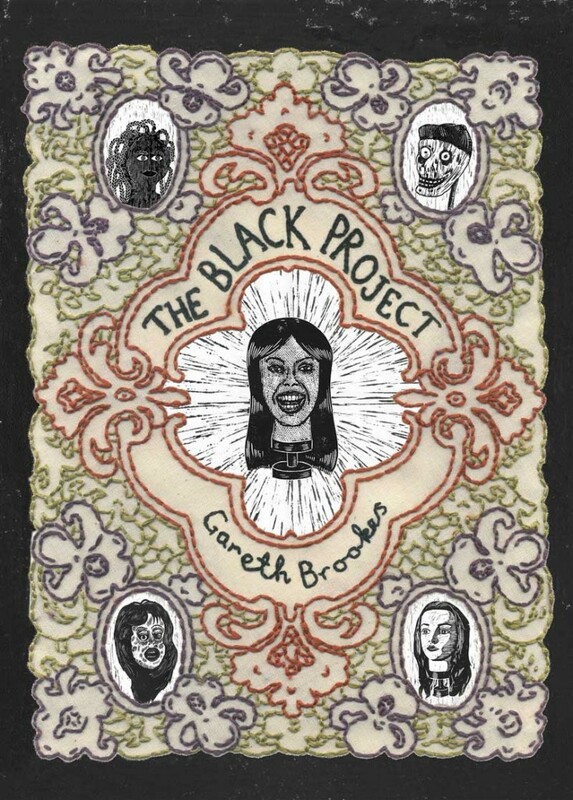 Gareth discusses The Black Project for Waterstones, detailing his methods and influences while working on it. 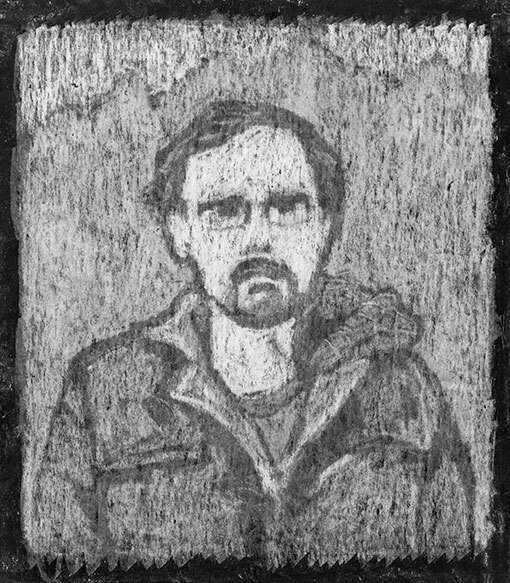 Gareth Brookes talks with Paul Gravett about embroidery techniques, suburban life, and winning the First Graphic Novel Competition. As part of a month long series of shows on horror and fantasy comics, Panel Borders’ presenter Alex Fitch talked to Gareth about making The Black Project. Originally broadcast in October 2013, on London’s Resonance 104.4 FM, you can listen again to Gareth’s interview. Read about how Gareth first began making comics, his working process and his relationship with social media, in this interview by Nicola Pearce for the Young Arnolfini collective in Bristol.